Spirits are high as the M-Sport World Rally Team advances on the fifth round of the FIA World Rally Championship: XION Rally Argentina. With Mikko Hirvonen having led the previous outing in Portugal, the squad is full of confidence and eager for further success. Contested amongst some of the championship’s most challenging and diverse terrain, the Argentine fixture presents no easy task and the top positions will be hard fought. With passes through the Sierras Chicas, Valle de Calamuchita and Valle de Traslasierra, the gravel route offers a wealth of variation – narrow mountain tracks contrasting with open plains and dramatic moonlike vistas. Incorporating some of the longest stages of the year, a good tempo for each variation is paramount. With no more than four traditional speed tests per day, those intent on victory can’t risk easing into a comfortable rhythm and that is sure to separate the men from the boys. Crews also need to be 100 per cent confident behind the wheel – content in the knowledge that their car is set-up to deliver optimum performance over each aspect of the stages’ diverse character. This is something Hirvonen and co-driver Jarmo Lehtinen used to their advantage in Portugal, and the pairing will be looking for more of the same next week. The Finn insisted that when everything came together, he would be capable of challenging for rally wins and he proved that on the Algarve. Looking at one behind the wheel of his Ford Fiesta RS WRC, the M-Sport man looks set to continue that trend and truly make his mark on the championship. Having contested the Argentine event on nine previous occasions, Hirvonen is keen to continue where he left off in Portugal – his experience of the route and his rejuvenated relationship with the Fiesta signalling the prospect of another strong result. 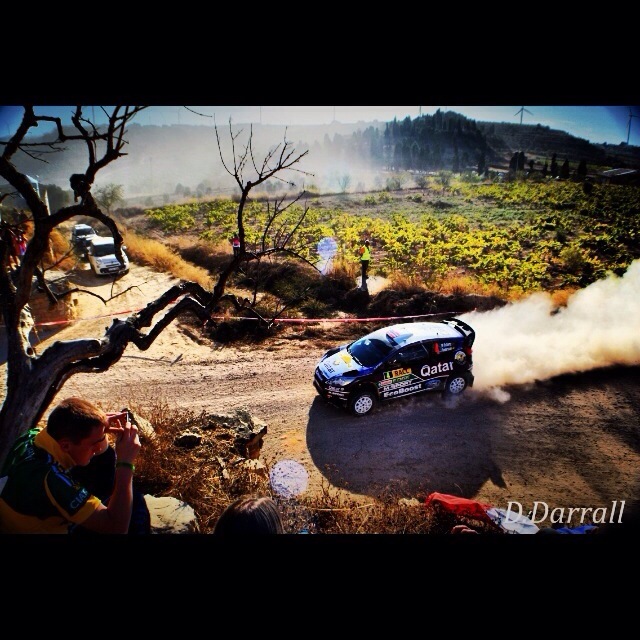 Elfyn Evans will also be looking for a solid result next week. Having never contested the South American fixture, Evans’ primary focus will be getting his Fiesta RS WRC through all of the stages unscathed. Undertaking a fourth new event in as many months does not faze the young Welshman. Co-driver Daniel Barritt has good knowledge of the rally having tackled it on three previous occasions, and Evans has spent his time preparing for the challenge both in and out of the car. A full week of development testing covering more than 1,200 kilometres provided the added seat time that can only boost a fledgling driver’s confidence and to best cope with the physical demands of the mammoth stages, the Welshman embarked on a strict fitness regime with M-Sport’s trainer – Champion European Triathlete, Barry Johnson. “We were really happy with the result in Portugal, and we’ll be hoping for a bit more in Argentina. When everything is working well, we know that we have the car and the pace to be challenging at the top, and that is what we will be aiming for. “It’s a tough event – even to be in the fight for the podium – but we will definitely be going all-out to do that. We want to be battling for the top positions. That is the minimum objective, but we also know that we will have to work hard to achieve it. “It’s another new event for me so I’ll need to find the right balance between ensuring I learn as much as I can whilst still showing some of the pace we were displaying in Portugal. We’ll have to judge the situation as it comes, but the most important thing will be to make it through all of the stages. “I’m not too sure of what to expect, but I’ve heard that parts of the route are like driving on the moon! As with every new event I do everything I can to ensure that I am as fully prepared as possible. I watch a lot of onboards to try and get a feel of what to expect, and these stages look like they’ll be some of the most technical of the year, but you never really know until you experience it for yourself. “We’ve been doing a lot of development testing since Portugal and the added seat time has been really beneficial. Whilst testing, I am there to do a job, but it also allows me to experiment with the driving and discover new things with the car. M-Sport’s range of award-winning Ford Fiesta rally cars make up a huge 48 per cent of the Rally Argentina entry list. Four Ford Fiesta RS WRCs have been entered alongside six Ford Fiesta RRCs, five Ford Fiesta R5s and four Ford Fiesta R2s – another bumper entry for the UK-based firm. Run by the M-Sport team, Yuriy Protasov will defend his WRC 2 lead behind the wheel of a Fiesta RRC. Looking to challenge the Ukrainian in similar M-Sport run Fiesta RRCs are Nicolas Fuchs and Abdulaziz Al-Kuwari. Quentin Gilbert will also continue his WRC 2 campaign with a second outing in an M-Sport prepared Fiesta R5.